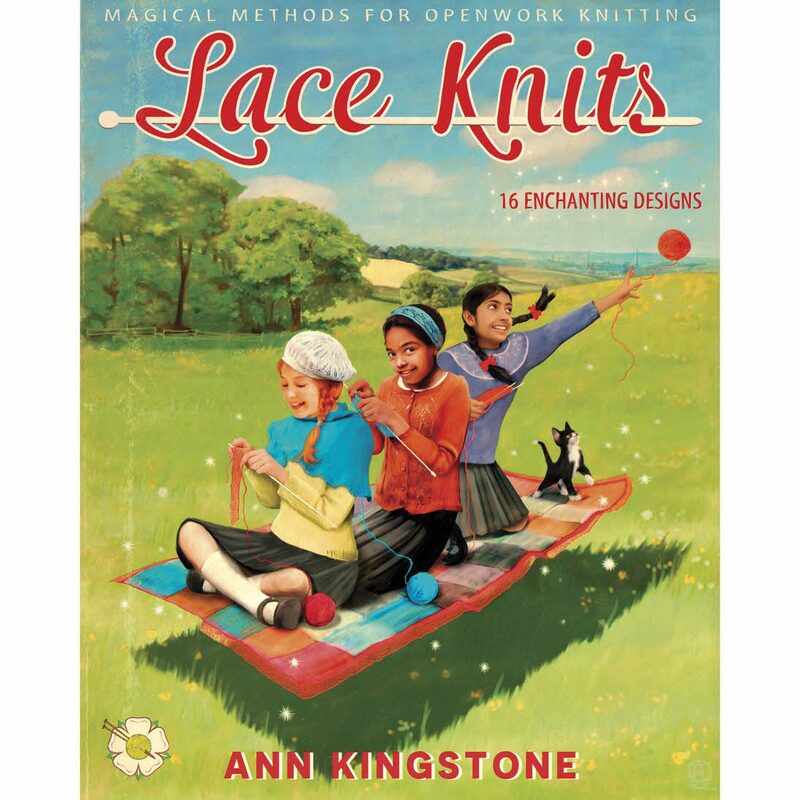 With clearly illustrated ‘Magical Methods’ for knitting lace, 16 Enchanting Designs in gorgeous Rowan yarns, and expert knitting tips, Lace Knits will delight novice and experienced lace knitters alike. The book is written in clear and friendly text throughout, with beautiful photography by Woolly Wormhead, and excellent technique illustrations by Cindy Moore. The evocative cover illustration, by Alexander Tomlinson, features younger versions of the three models in the book, wearing a number of the Enchanting Designs. Add beads when knitting lace. Work shaping in lace stitch patterns. Use ‘magic loop’ method for small diameter knitting. Ainley – a cardigan with frost flower lace panels. Cowlersley – a cowl in frost flower lace. Cowlersley Hat – matches the cowl. Edgerton – a wrap in leaf lace with feather and fan borders. Edgerton Mitts – fingerless mittens that match the wrap. Fenay – a bolero in Estonian flower lace. Geldholt – jumper with a circular lace yoke. Lascelles – long Empire line cardigan with a large motif lace skirt and sleeve panels. Lindley – a camisole with a leaf lace edging. Lindley Headband – matches the camisole. Linthwaite – a large triangular lace shawl. Netheroyd – a crescent shawl with feather and fan edging. Reinwood – a cardigan with leaf lace panels. Slaithwaite – knee-high socks with Estonian flower lace panels. Springwood – a jumper with leaf lace edgings. Wessenden – a wrap with lots of nupps.